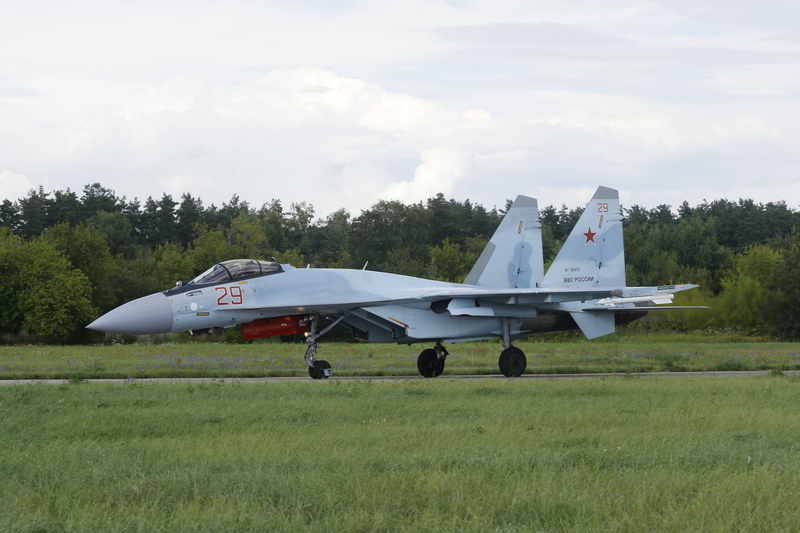 MAKS is an international airshow held at Zhukovsky International Airport, the home of the Gromov Flight Research Institute in Zhukovsky, 40 km (25 mi) southeast of Moscow, Russia. The event was organized by the Russian Ministry of Industry and Trade until 2009, more recently by the Government of Moscow and Aviasalon. 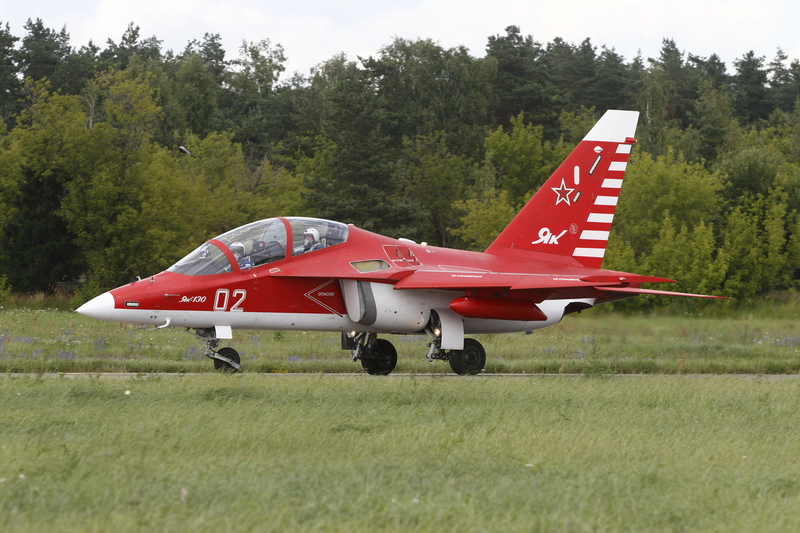 The first show, Mosaeroshow-92, was held in 1992. 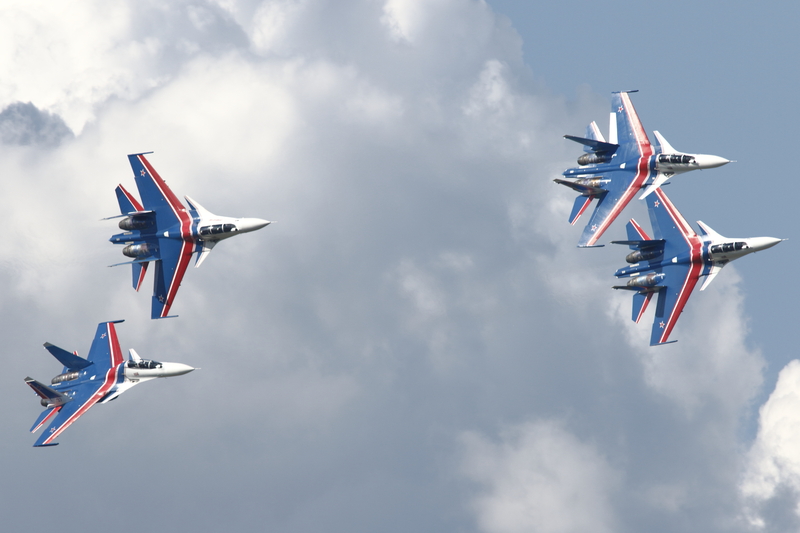 Since 1993, the airshow was renamed as MAKS and is held biennially on odd years. 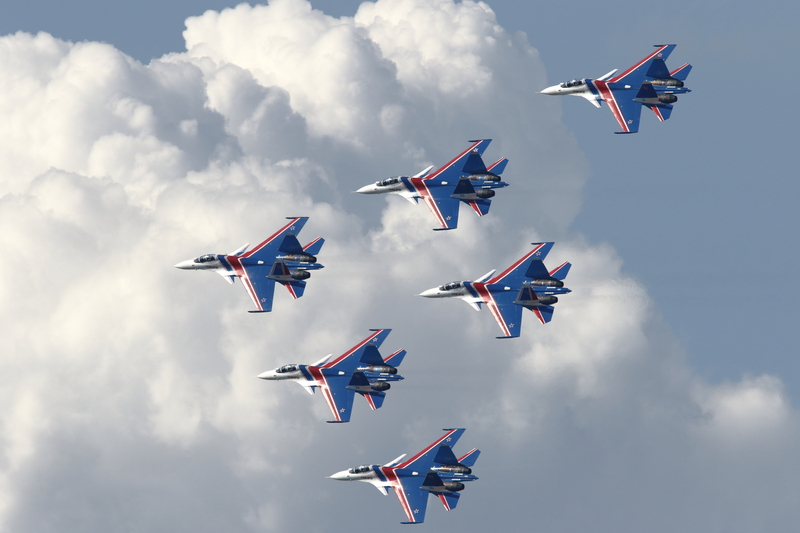 The event is one of the world’s largest aviation forums that provides a comprehensive insight into the priorities and achievements of the Russian aerospace industry. 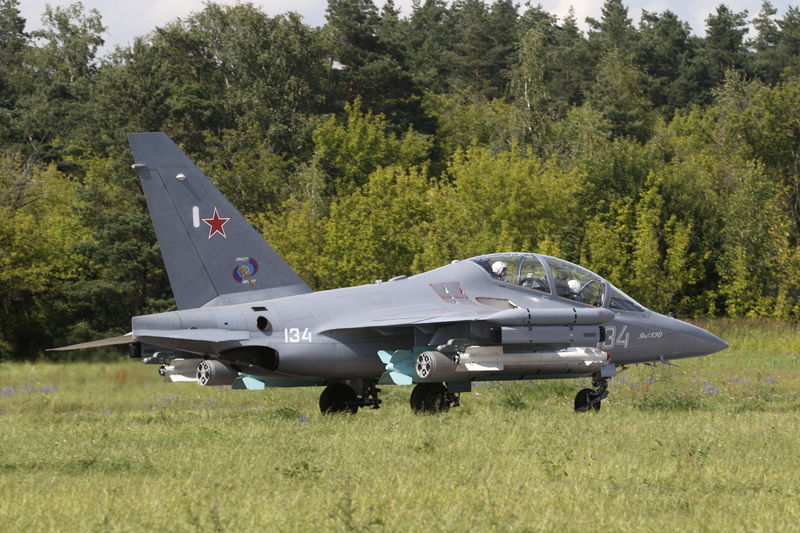 Some prototypes of aircraft and combat systems, as well as experimental units, are demonstrated exclusively at MAKS. However, MAKS is not a typical air-show, it should rather be seen as a trade exhibition with the aerospace industry gathering in order to sign new agreements and sell their products. 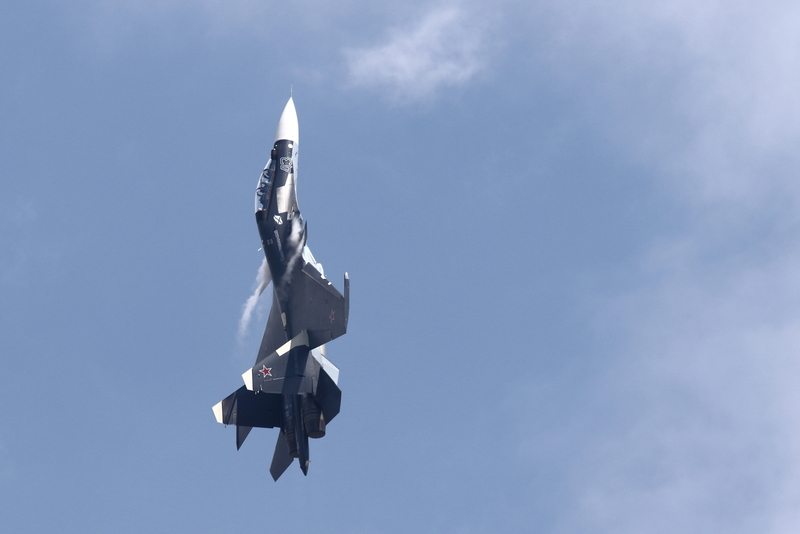 Nonetheless, flying demos seem to be a good way to work on this, as you may also see what the given aircraft does in the air. 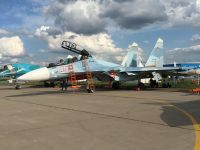 MAKS 2017, which started at July 18th and ended on July 23rd, exposed many of fascinating tech pieces, including improved and brand new aircraft. 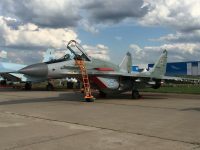 The organizers of the show also made sure the crowd could observe the innovation in a well-prepared spectacle and so leaving some memorable highlights. 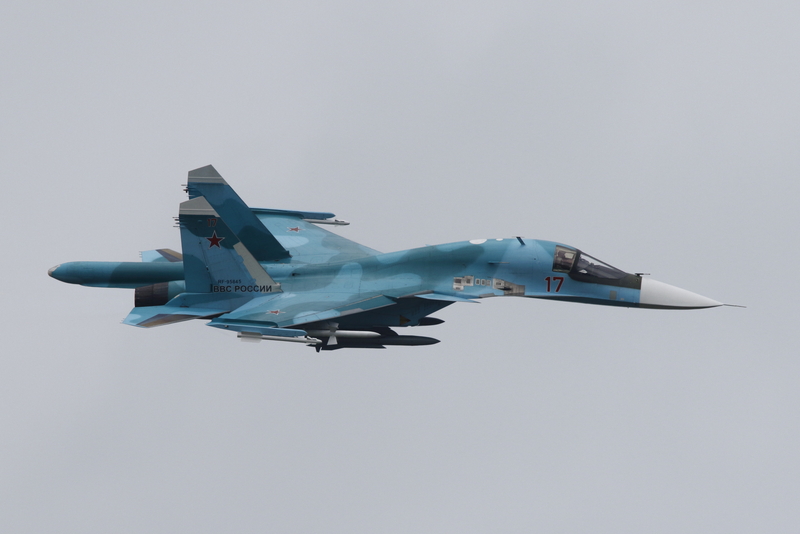 One of the types that absolutely stole the show at MAKS 2017 was the Sukhoi Su-35 Flanker-E, the top Russian air-superiority fighter in service today. 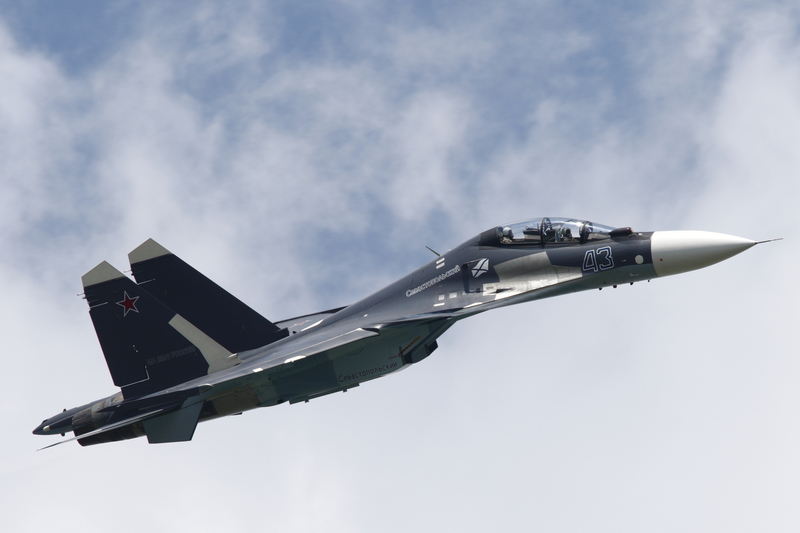 It represents the pinnacle of fourth-generation jet fighter design and It will remain so until Russia succeeds in bringing its fifth-generation PAK-FA stealth fighter into production. 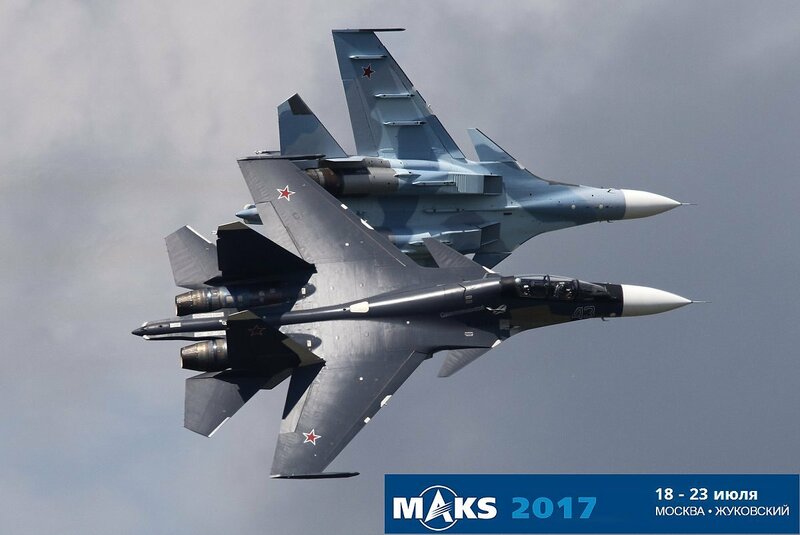 At MAKS 2017 the Su-35 performed an amazing show, leaving many spectators with jaws open because of its impossible stunts and defying almost any law of fysics. 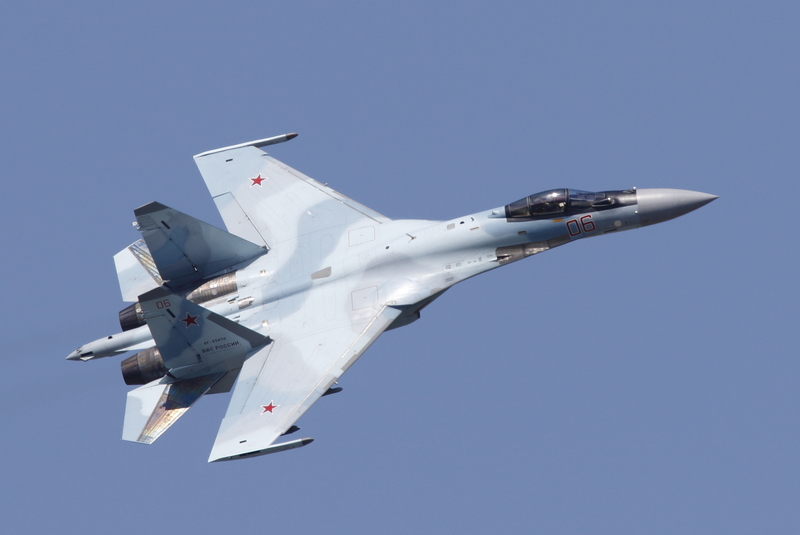 The Su-35, originally known as the Su-27M, is an improved derivative of the successful single-seat Su-27 Flanker designed as a 4+ generation multi-role fighter. 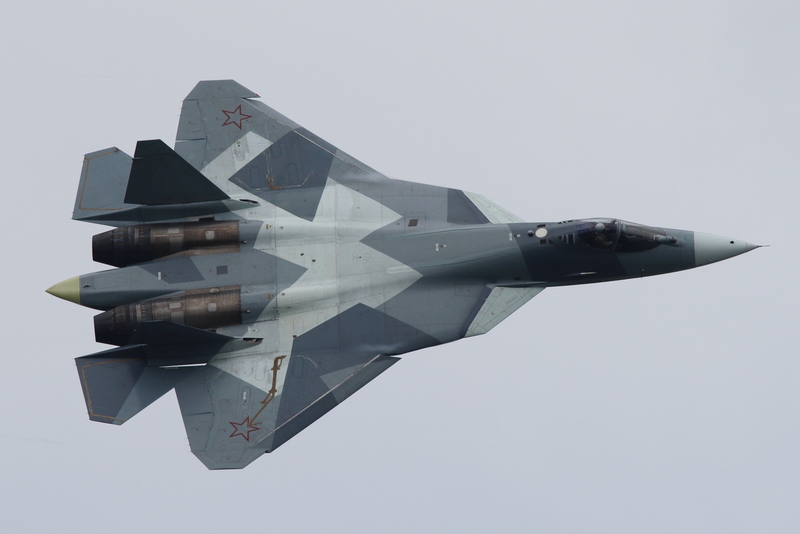 One of the other notable pieces of MAKS 2017 were the fifth-generation multi purpose fighter jets Sukhoi PAK-FA T-50, to be named Su-57 and intended to compete directly with the Lockheed F-22 Raptor. 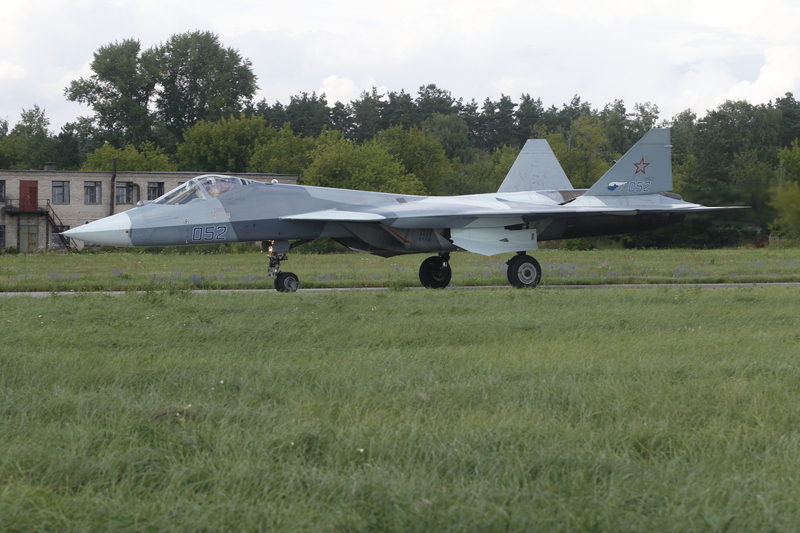 The Su-57 is going to replace Su-27 Flankers, as well as the lightweight Mikoyan MiG-29 “Fulcrum” (all 4th Generation Fighters) in front line tactical aviation. 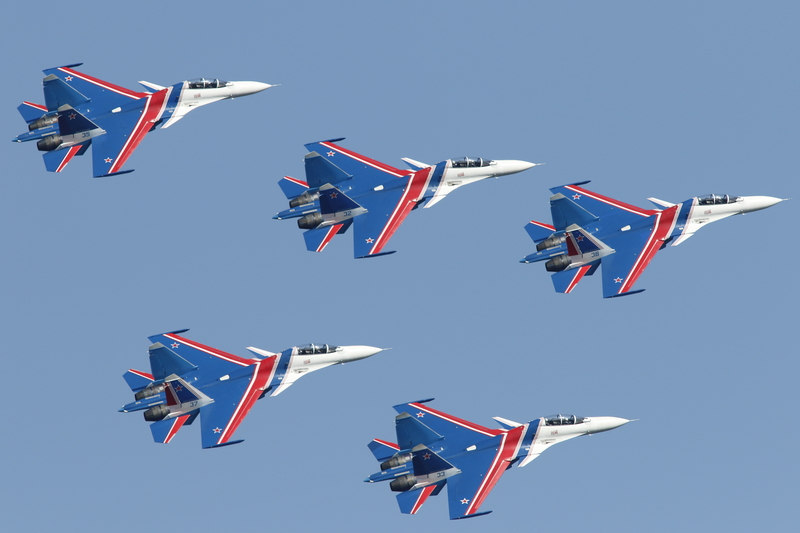 12 of them are expected to be delivered to the Russian Air Force by 2019. 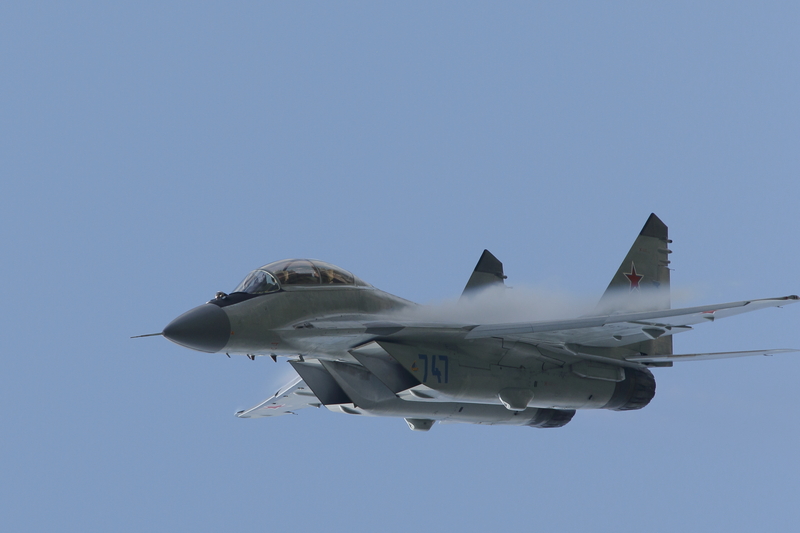 The T-50 is designed to perform supersonic flights at speeds of over 2,000km/h along with continuous in-flight refuelling. 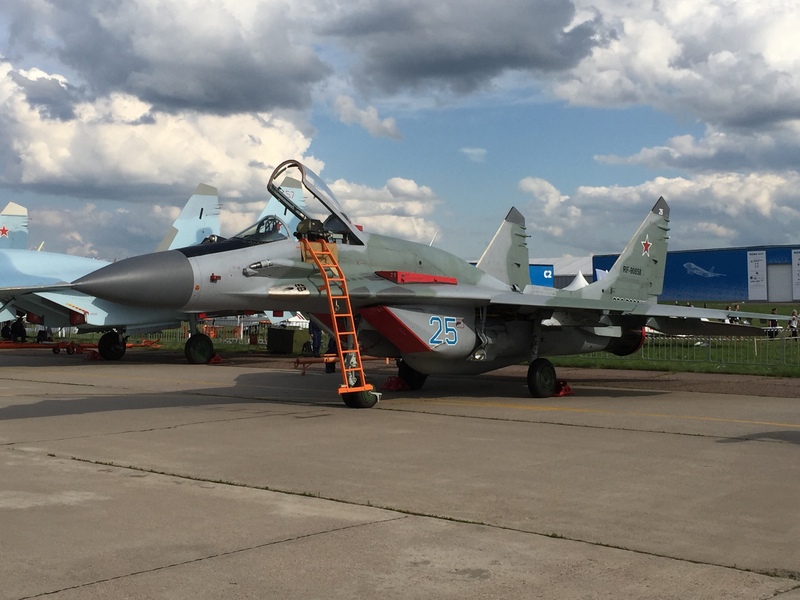 It will feature short take-off and landing capabilities, and can achieve greater agility, low radar visibility and low heat signature. 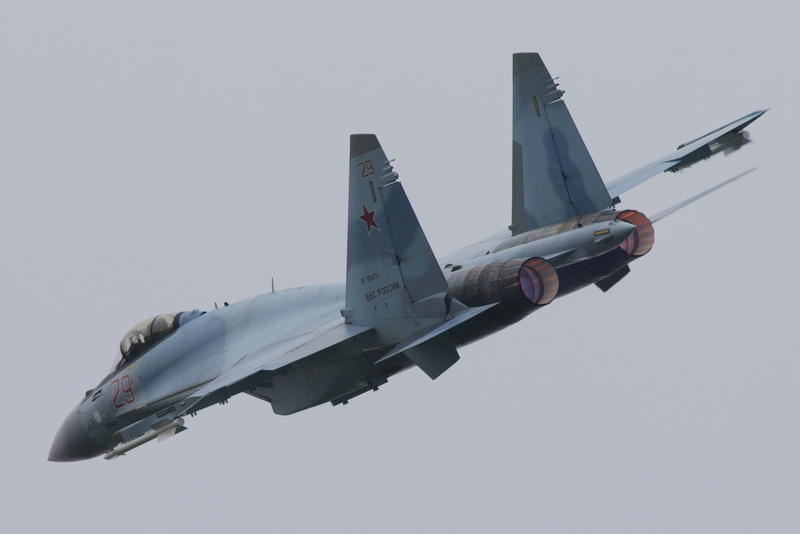 The aircraft does not have rudders but its vertical tails are completely movable. 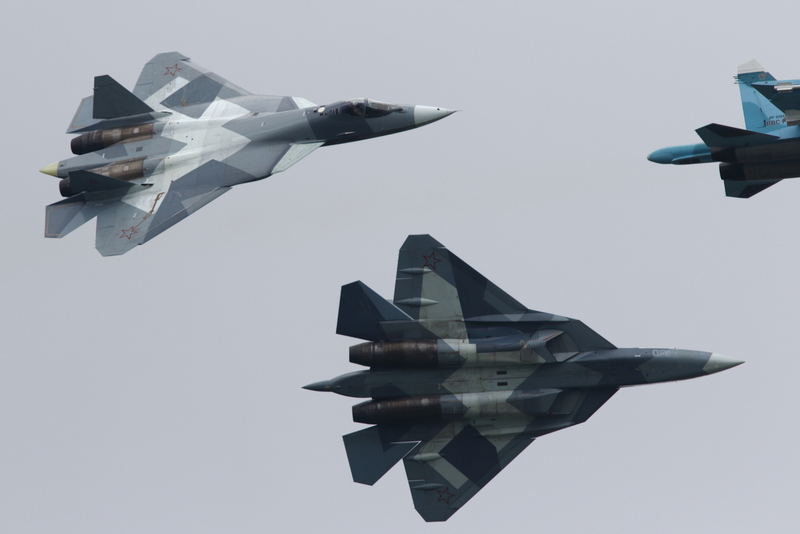 A pair of Russia’s fifth-generation PAK T-50 fighter jets engaged in a mock aerial battle at the MAKS 2017 international airshow. 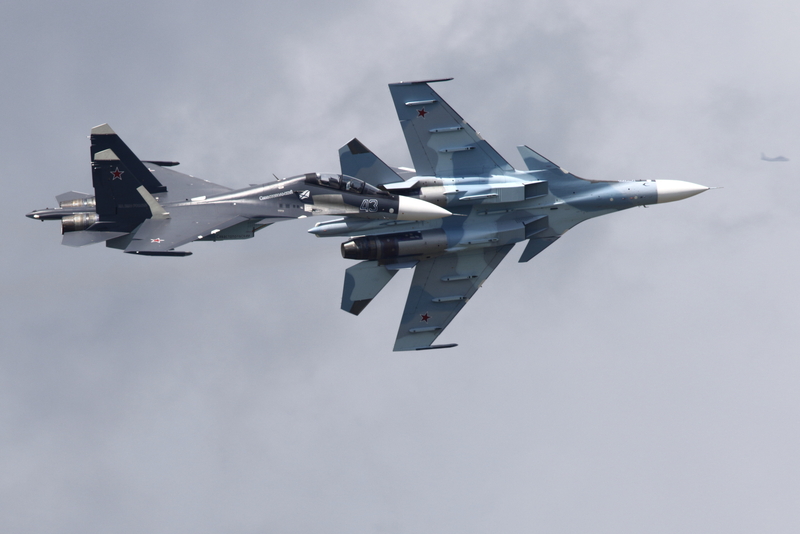 One of them launched an attack while the other dodged it, showing its super-maneuverability. 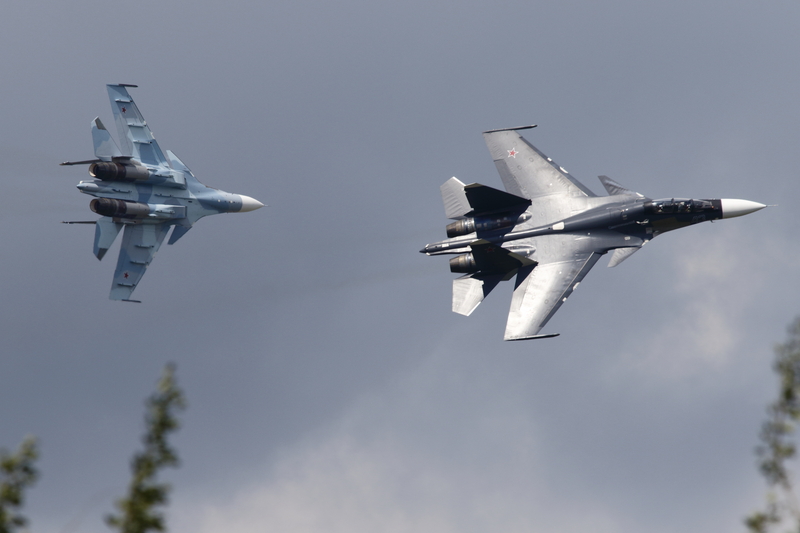 Another hightlight of MAKS 2017 to me, was the performance of two Su-30SMs. 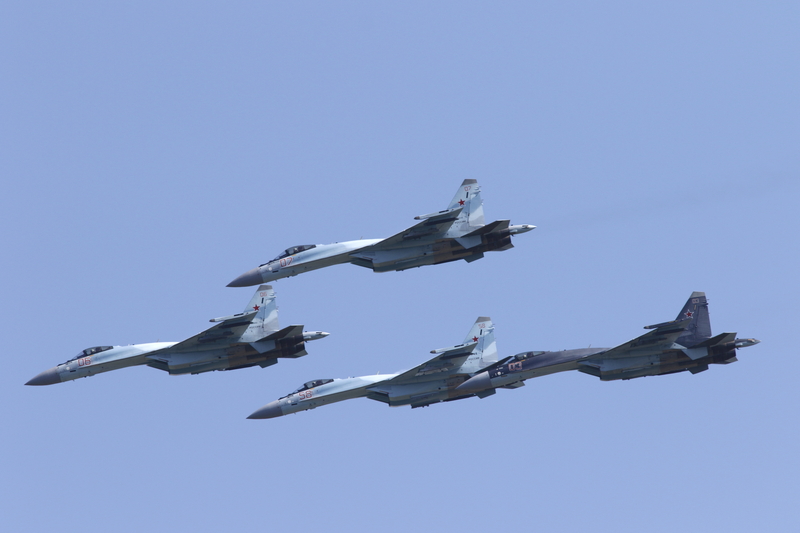 They did amazing aerial maneuvers, showing the unbelievable agility of the aircraft. 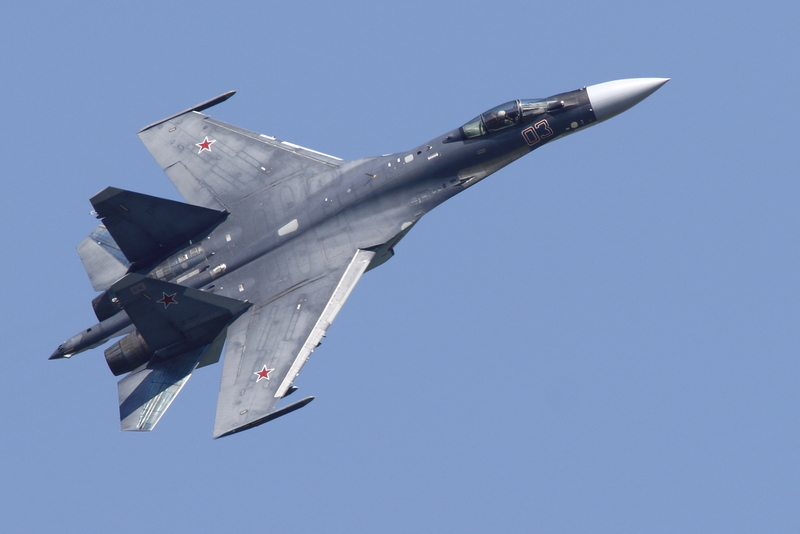 The Su-30SM is a multirole fighter aircraft and it is an advanced derivative of the Su-30MK combat aircraft family, which is in service at various airforces (a.o. 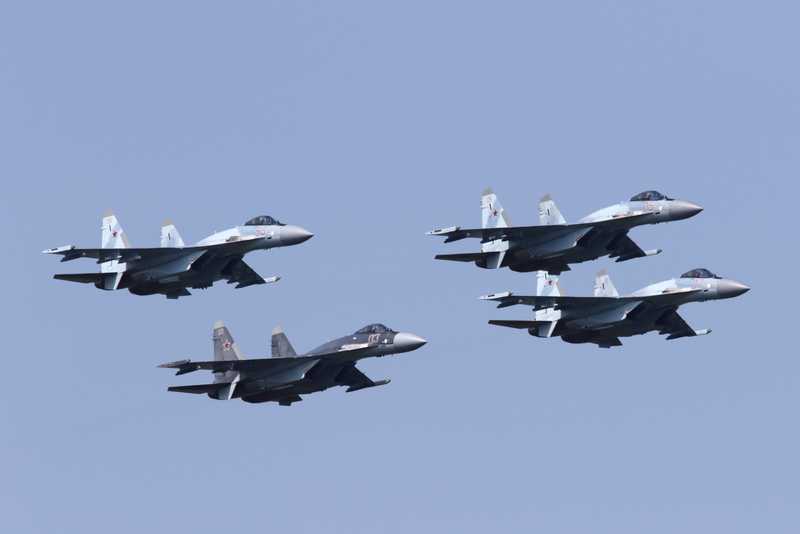 India, Indonesia, Malaysia, Venezuela and Vietnam). 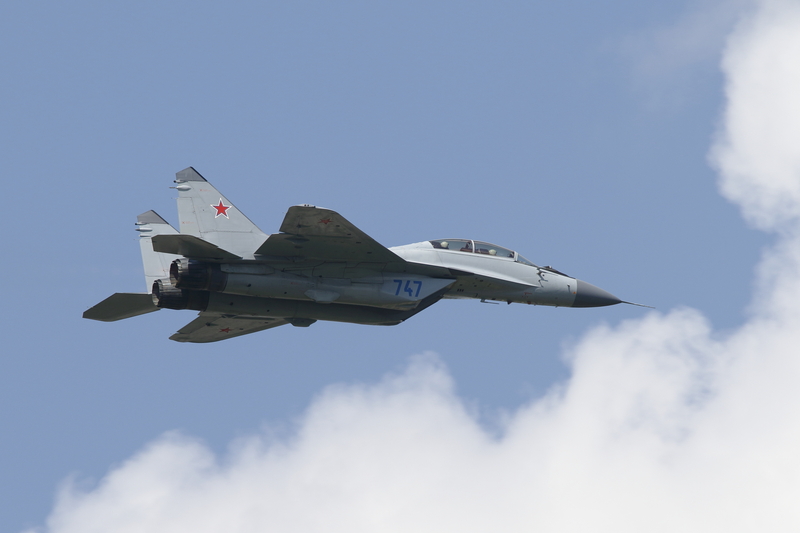 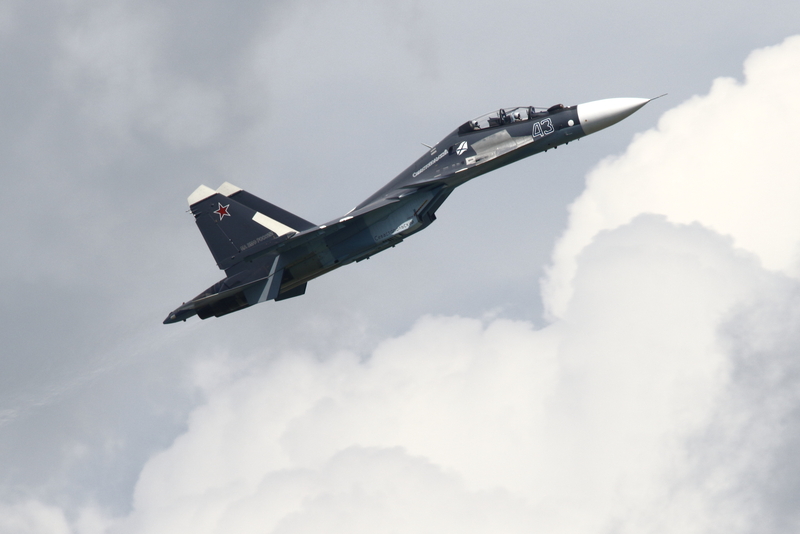 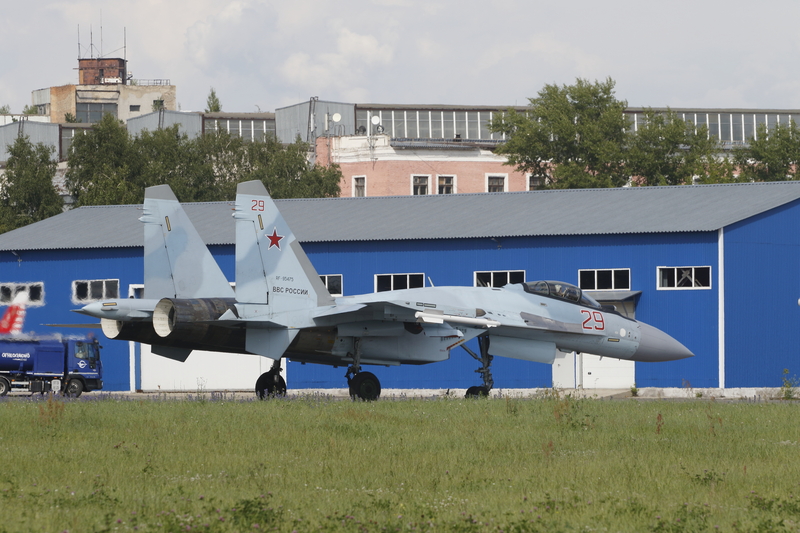 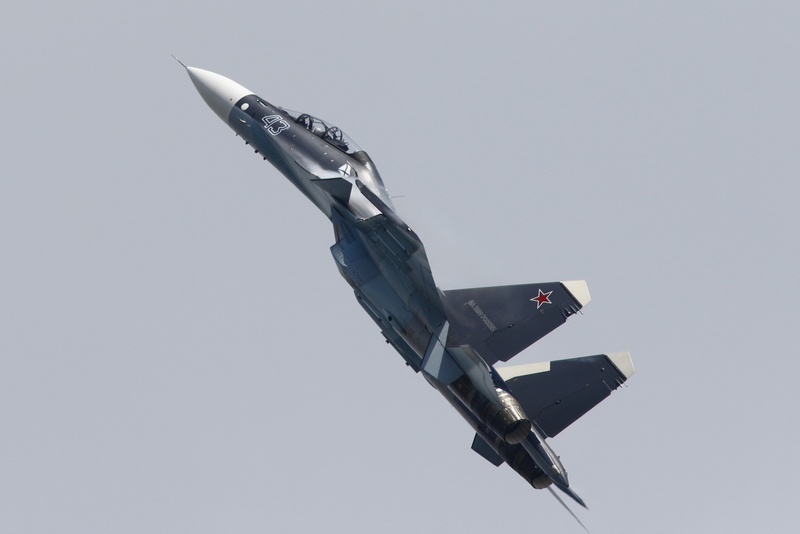 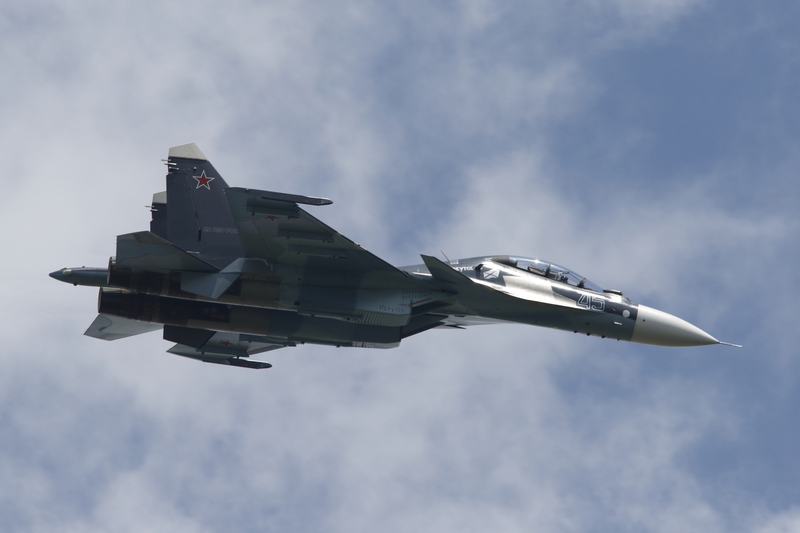 The Su-30SM was designed in accordance with the requirements of the Russian Air Force. 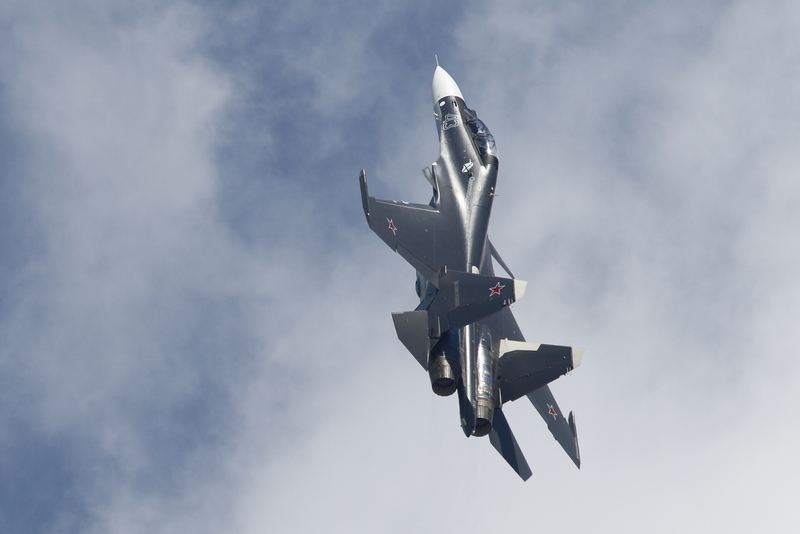 It is being manufactured by IRKUT, a company based in Russia. 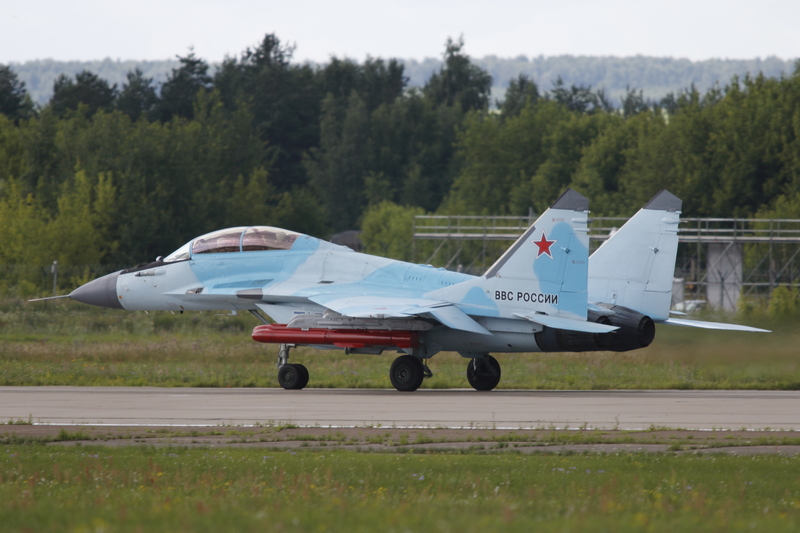 The first Su-30SM fighter designed for the Russian Ministry of Defence (MoD) performed its maiden flight in September 2012. 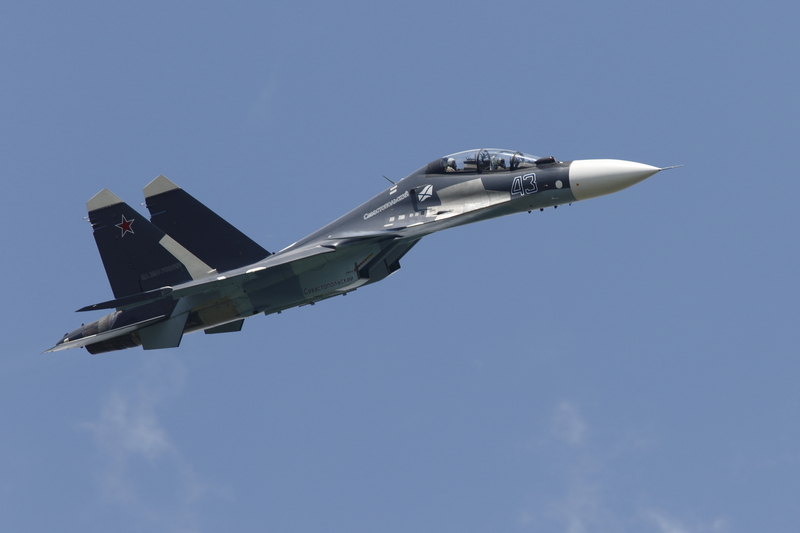 The multirole Su-30SM can be deployed in counter-air strikes, counter-land and counter-sea missions. 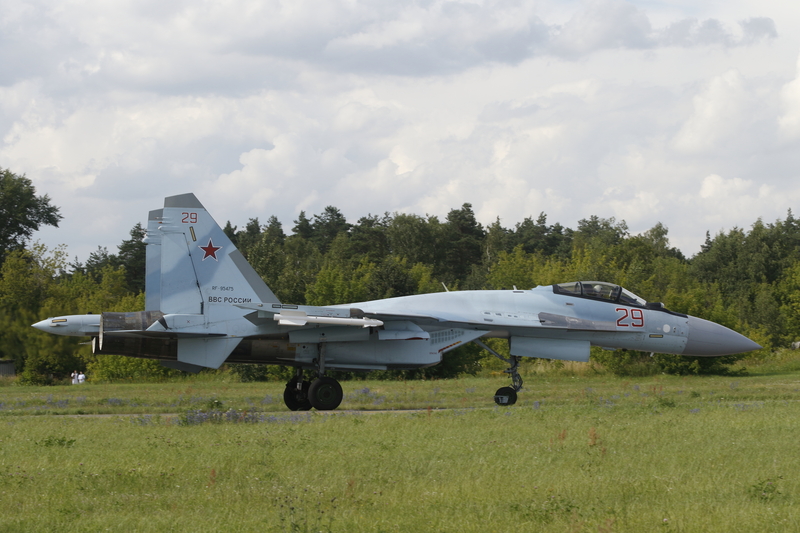 It can conduct electronic counter-countermeasures and early warning tasks. 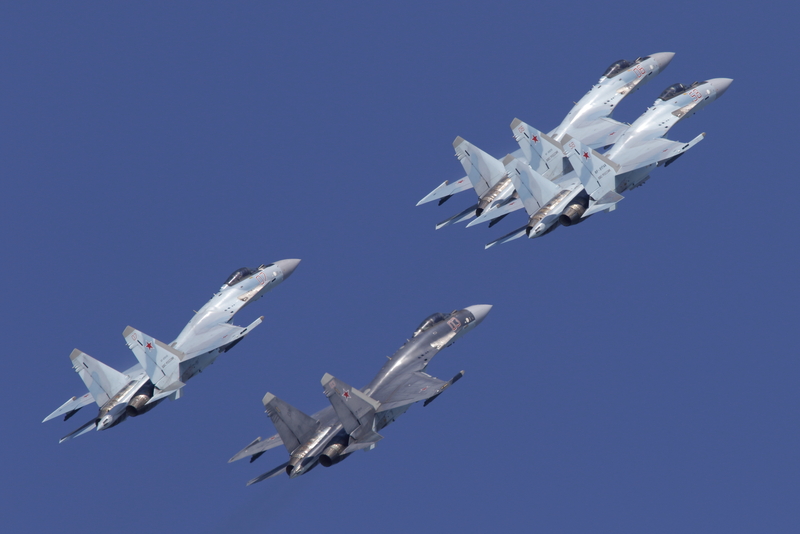 The aircraft also acts as a command-and-control platform within a fleet of combat aircraft performing joint missions. 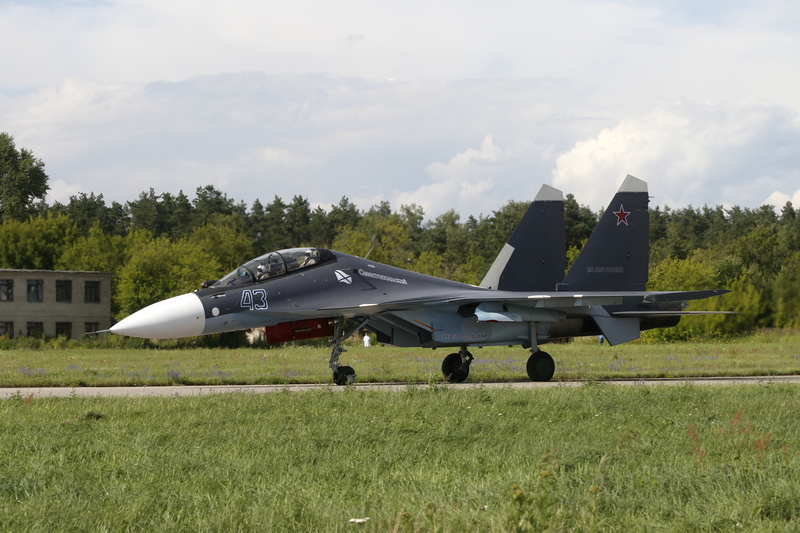 The Su-30SM fighter is the latest version of Russia’s most mass-produced Su-30 generation 4++ multirole fighter. 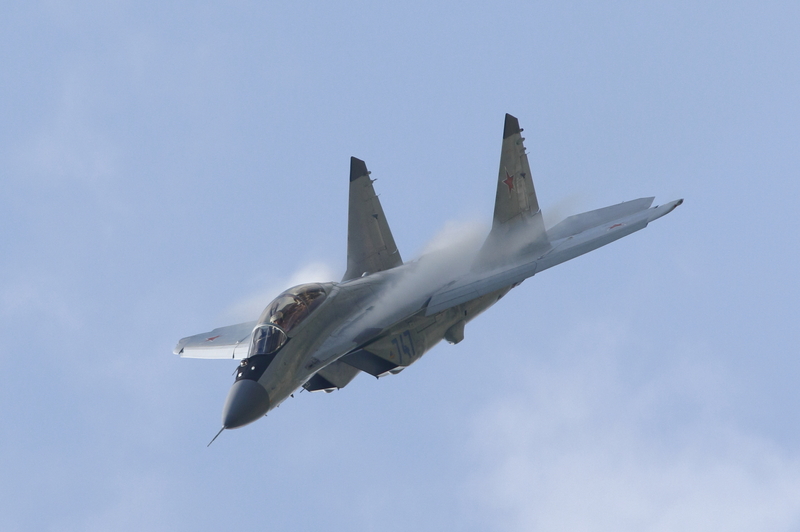 Its super maneuverability is achieved through a highly effective integral aerodynamic configuration of the airframe, the use of AL-31FP engines with a thrust vectoring control system, and canard surfaces. 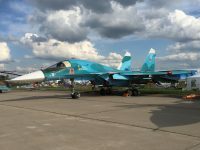 With the show of the Su-34, we saw another impressive representative of modern Russian airpower at MAKS 2017. 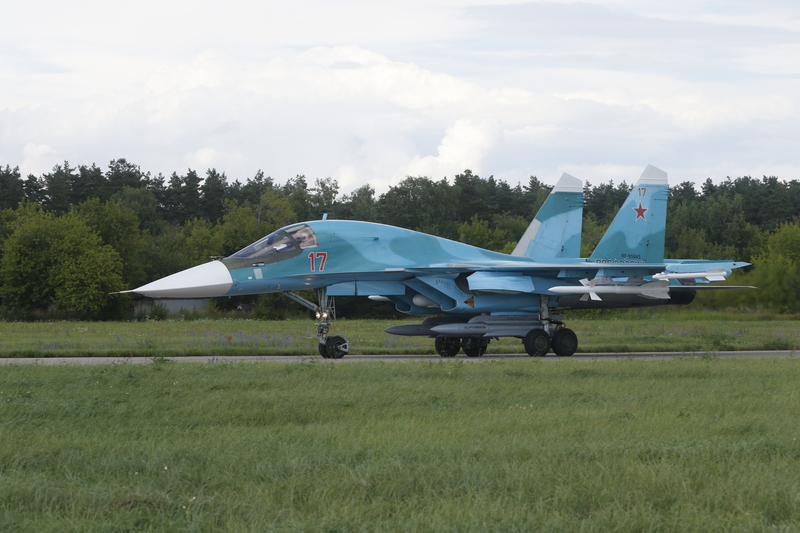 The Su-34, designated by NATO as “Fullback”, is a twin-engine strike aircraft with a crew of two. 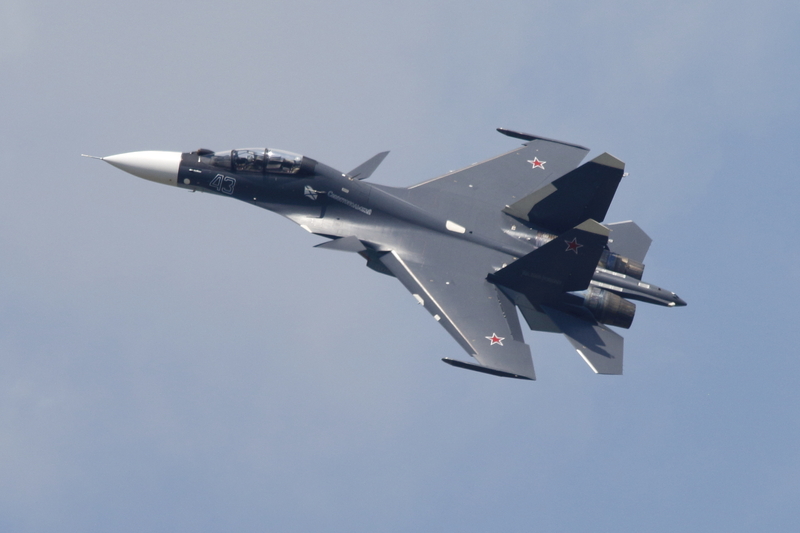 It has a maxiumum speed of 1,200 miles per hour, a combat radius of more than 680 miles and carries bombs, missiles and rockets. 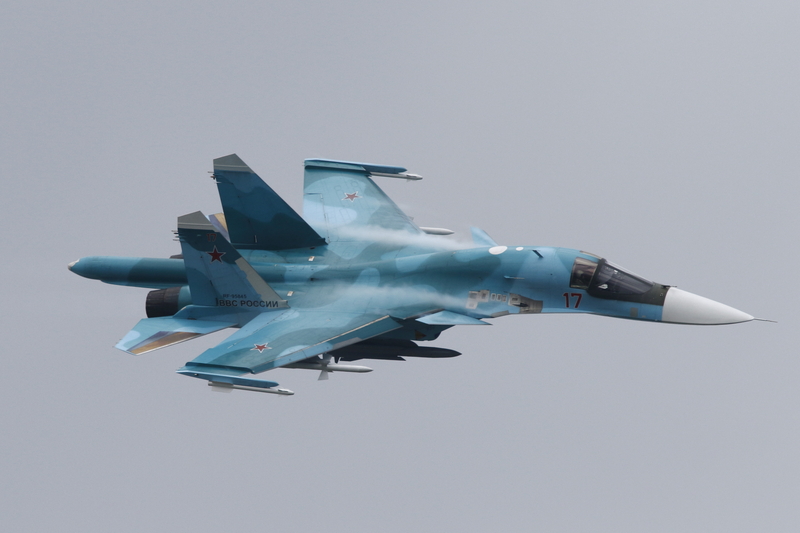 The new multirole aircraft can perform aerobatic maneuvers and strike well-defended targets with its high-precision weapons with equal ease. 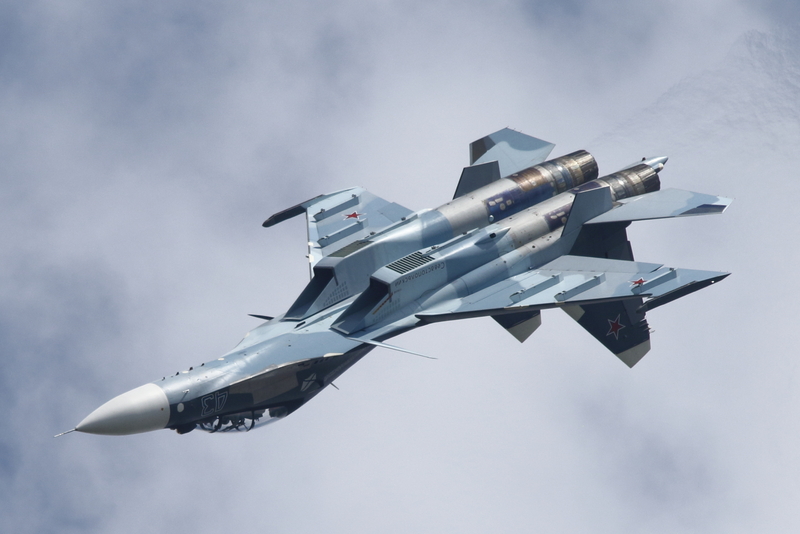 Moreover, the airplane can fly 7,000 km without refueling and close in on its target literally “head on,” destroying everything in its path. It is an unusual aircraft. 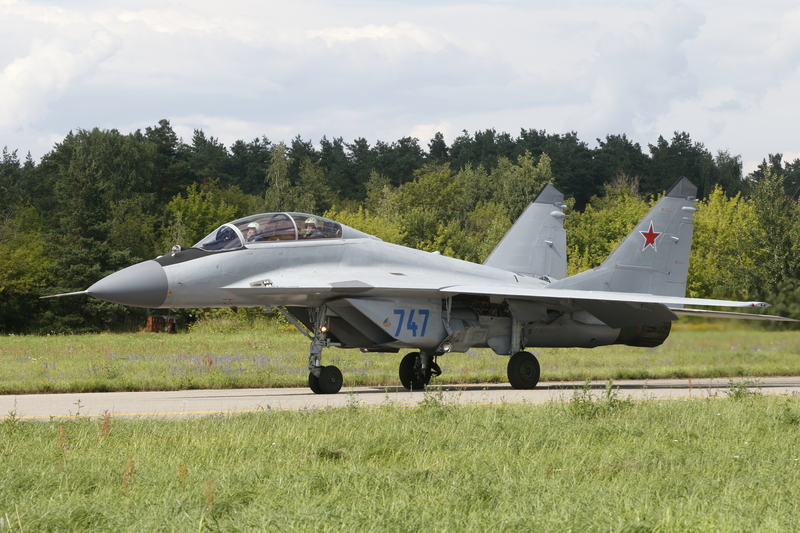 With its sweeping contours and canard foreplane, it looks very much like a fighter plane in external appearance. 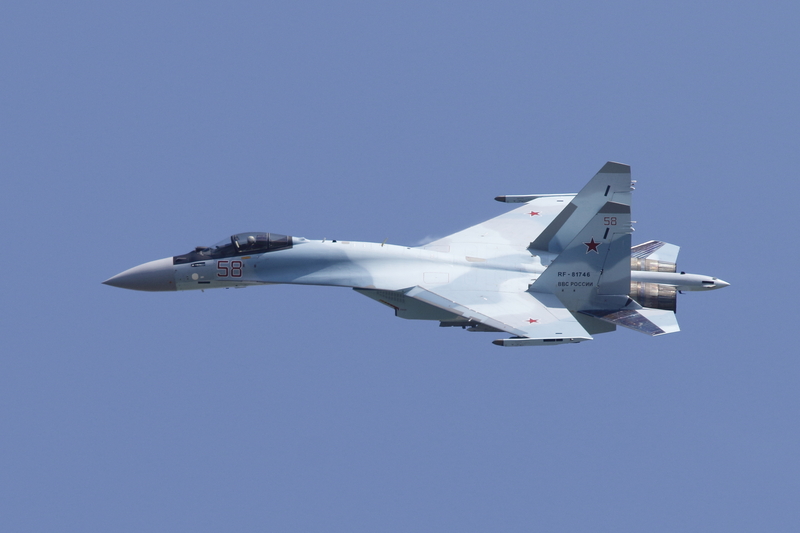 But in capabilities, it is a real workhorse, capable of carrying eight tons of high-precision bombs or cruise missiles at a time. 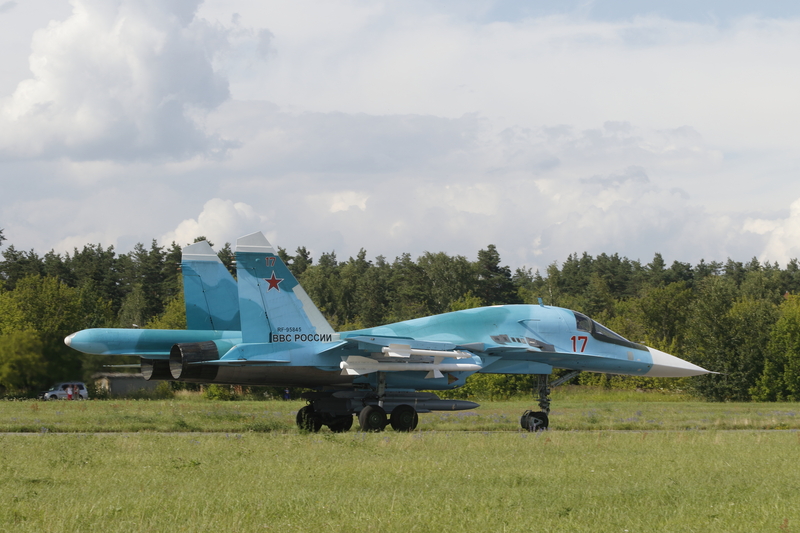 The Su-34 has been dubbed the “Duckling” or the “Duckbill” because of the flattened shape of its nosecone. 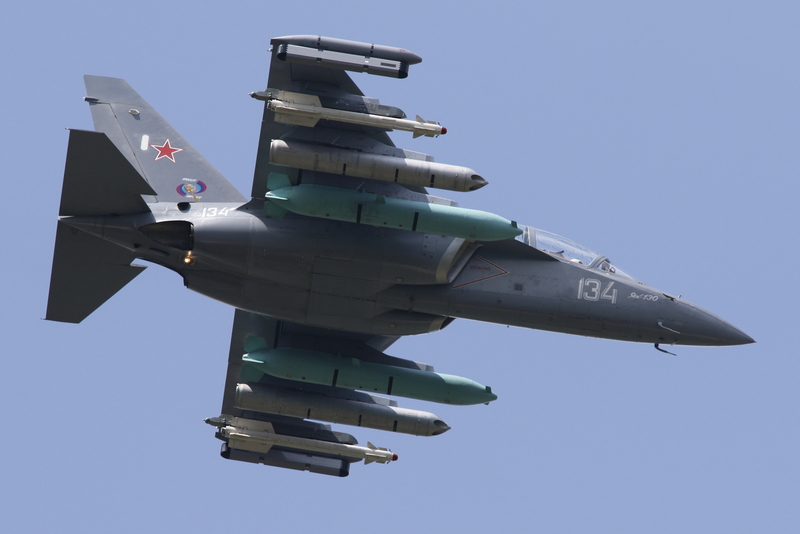 More than a 100 such planes are already on combat duty and some of them are being actively employed in Syria against Islamic State terrorists. 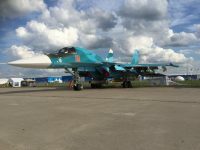 The Su-34 replaces two types of bombers at once: the tactical Su-24 Fencer and even the much larger, long-distance Tu-22M3 Backfire. 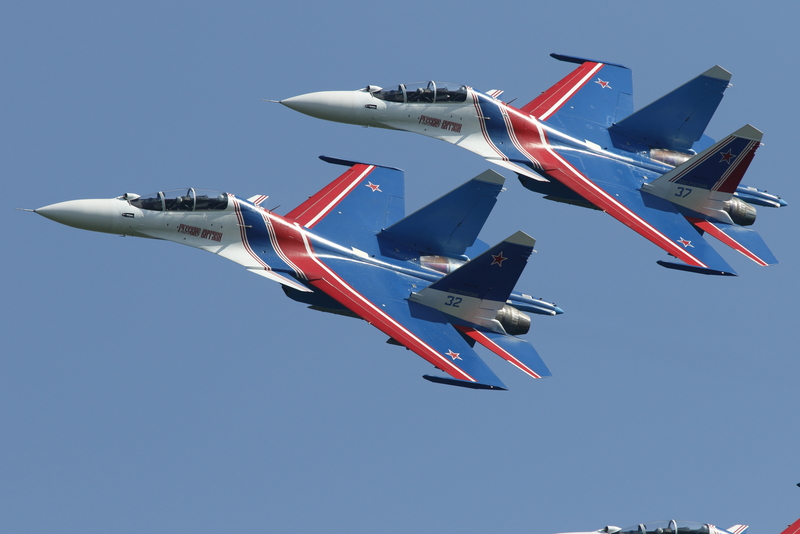 The final performance of the flying programme on most days was assigned to the Russian demo team the Russian Knights, the only aerobatic team in the world that performs group maneuvers with heavy fighters. 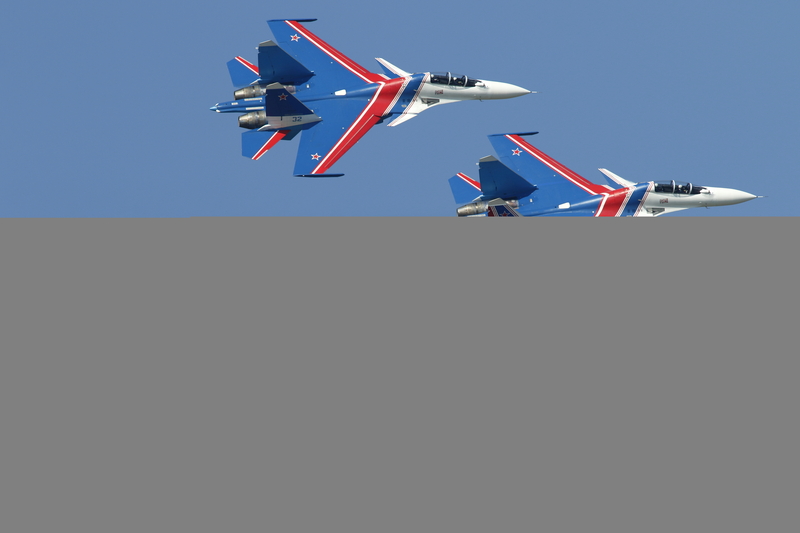 At the LIMA 17 air show in Malaysia in March, the Russian Knights performed their new SU-30SM aircraft to the public for the first time. 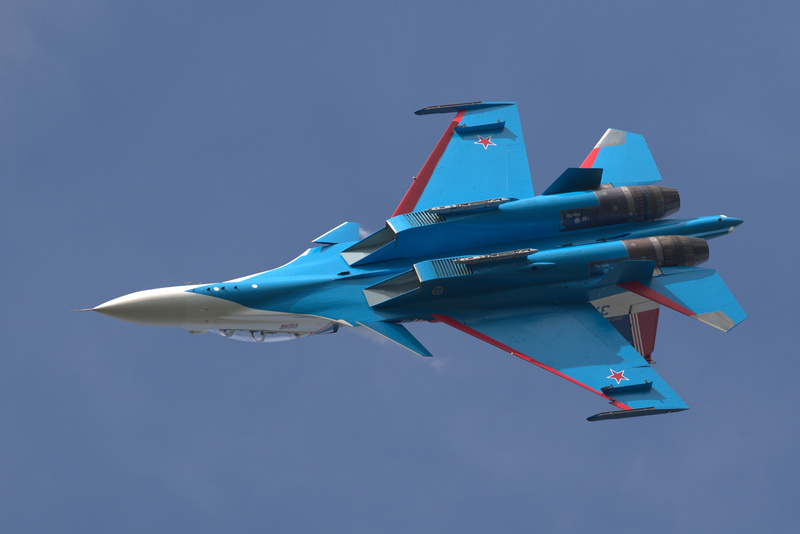 Before 2017 the team flew the Sukhoi Su-27 and Su-27UB aircraft, a prior generation version of the heavily upgraded new Su-30SM. 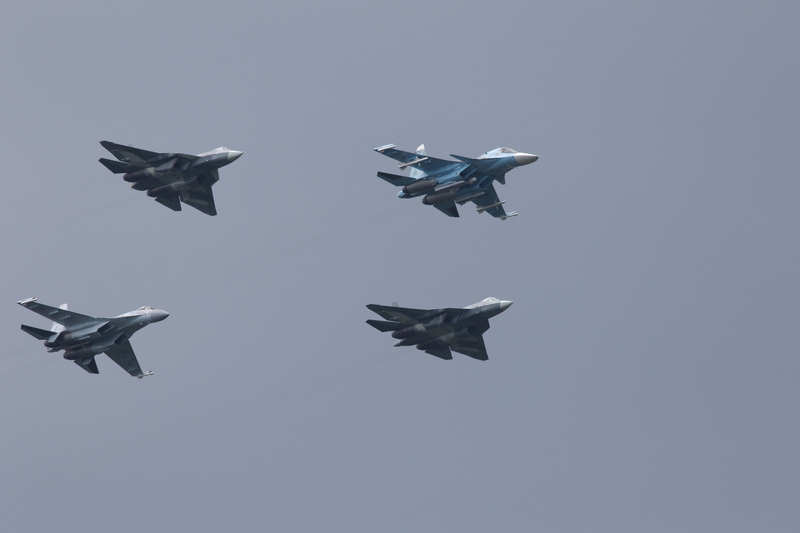 The flight demonstration began with some exceptionally well-practiced diamond formation flying. 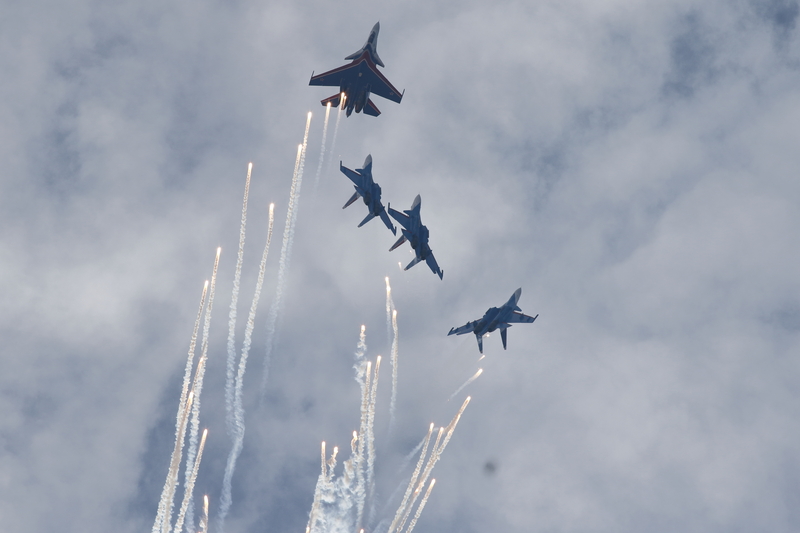 During the diamond maneuvers the team displayed excellent symmetry, especially during difficult rolling maneuvers when the outside and inside aircraft in the formation fly different profiles to maintain position. 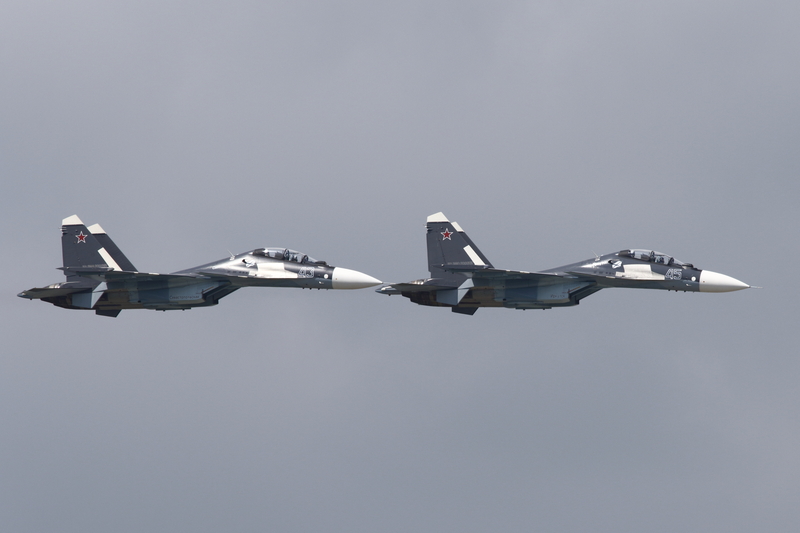 While the Russian Knights fly wider aircraft spacing than other display teams, their synchronization with their new Su-30SMs was impressive.